Many thanks Martine for a really great stay in your lovely house.Thank you for all your help and kindness.The welcome pack was much appreciated and very generous. Thank you Martine for letting us stay in your lovely house. Everything we needed and your help truly appreciated. Thanks for welcome pack too. 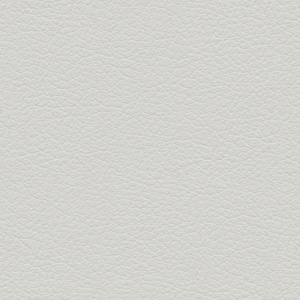 Die Angaben und Fotos im Online Inserat haben 100% übereingestimmt. Die Zimmer waren sauber und die Aufteilung auch für mehrere Generationen ideal. Die Räume waren alle sauber und alle Geräte haben einwandfrei funktioniert. Der Garten ist perfekt für Kinder. Der nächste Strand ist 15 Minuten entfernt und St. Brieuc (15Minuten) bietet alle Einkaufsmöglichkeiten, Apotheken, Restaurants,etc.! Unsere Gastgeberin hat uns herzlich willkommen geheißen und sogar eine kleine Aufmerksamkeit für uns und die Kinder bereitgelegt. Danke! Auch die Abreise verlief reibungslos und sehr zuvorkommend. 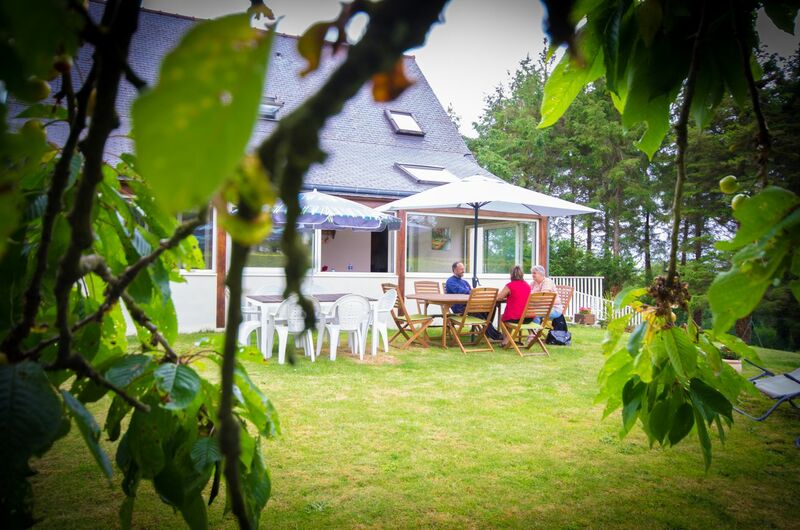 Dieses Ferienhaus würde ich jedem weiterempfehlen der gerne ein paar schöne Tage in der Bretagne verbringen möchte. 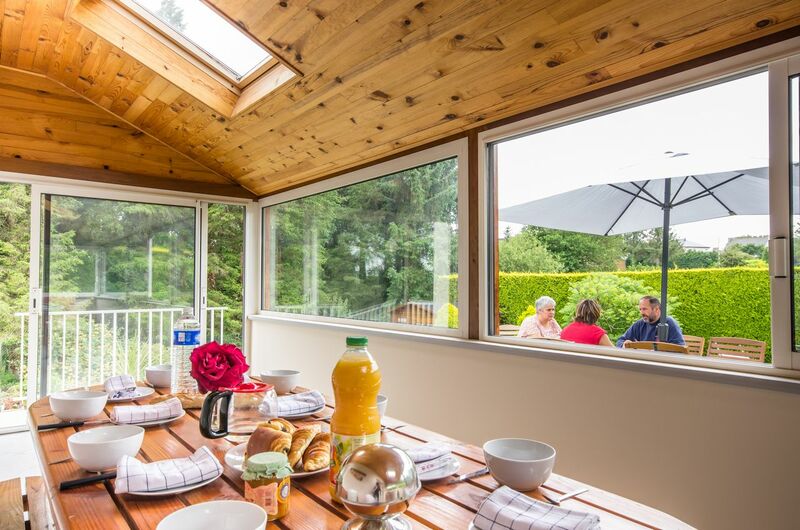 Das Ferienhaus liegt sehr vorteilhaft in der Nähe vieler schönen Plätze: Dinan, Moncontour, Cap Frehel, Fort la Latte, und vieles mehr. Very comfortable and plenty of room there were 8 of us 5 over 6foot 2 inches . The location was great and thoroughly enjoyed Pleneuf and Moncarton was a must . Martine is lovely and everything was clean and fragrant would definitely recommend. 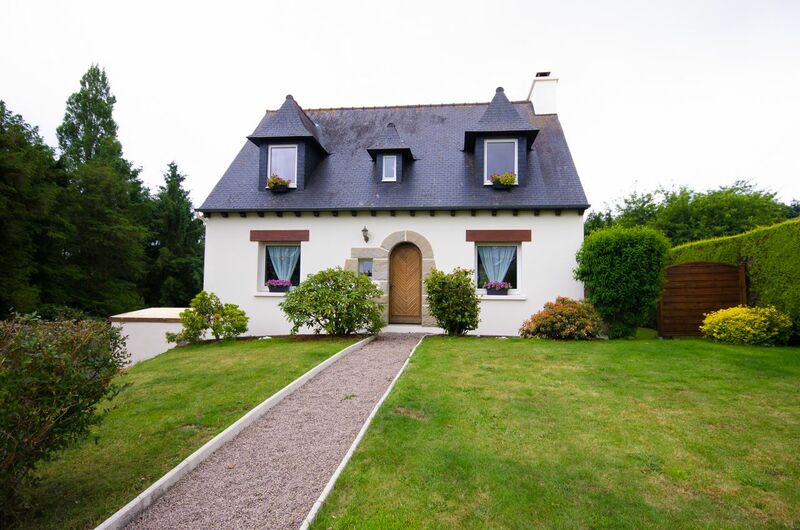 Lovely house in a good location for exploring all parts of Brittany. 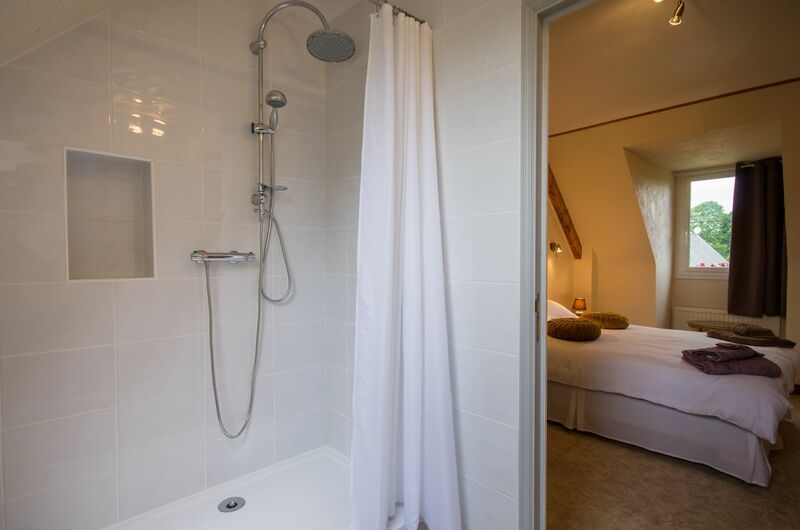 Property has everything you could possibly need for a great stay, plenty of space, extremely comfortable and very well equipped. Would highly recommend. Martine could not have been more helpful, speaks fluent English and has definitely developed an English sense of humour!! This is easily the best French holiday home we have stayed in. 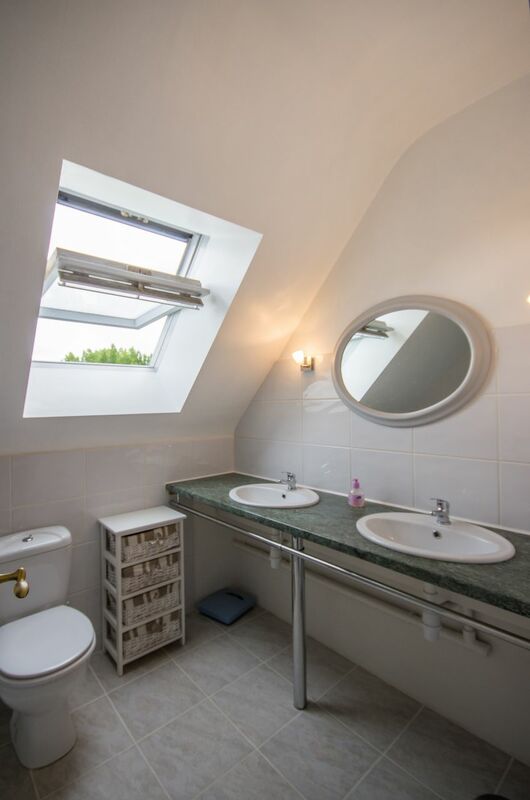 It’s beautifully presented with quality decor and fittings and the large south-facing garden is real sun trap. Loads of room, plenty of space to store your belongings and an extensive range of kitchen equipment. What makes this special is that Martine (the owner) takes great pride in making sure you enjoy your holiday. She is on the end of a phone line (or email) throughout your stay if you need help, but doesn’t interfere. You can guess by this review that we had a great time in Brittany and probably stayed in more than usual as the weather was good and the house was a home-from-home. Would definitely recommend it. stayed here for 3 weeks for work, really great property, would need transport other than that fantastic! We have just had the most wonderful winter week break in Martine’s comfortable, typical Breton house. We were met on arrival by our kind and generous host and the week continued from there. The weather was excellent, the coastline impressive and the food, as ever, as much part of the holiday as everything else!. 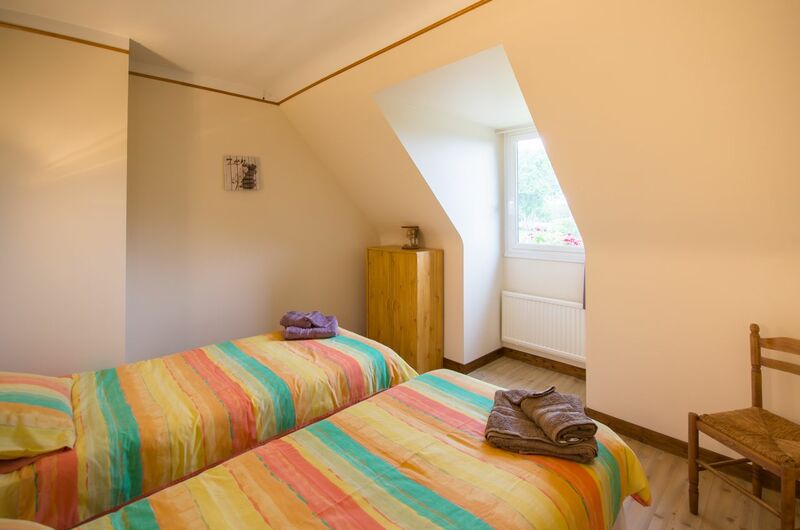 We wouldn’t hesitate to recommend both the area and, of course, the comfortable, peaceful and inviting gite. Many thanks Martine! Une très belle location spacieuse, confortable et calme. Une propriétaire charmante et accueillante. Nous n’hésiterons pas à recommander cette propriété. Nous reviendrons avec grand plaisir !!! Easy for sightseeing around. Real homely feel. Excellent host. Provided welcome pack which was really thoughtful. A great place to explore the area – plenty to do for all the family. The house was perfect, clean and spacious. The garden is lovely with plenty of furniture. Martine was so helpful – providing a really thoughtful welcome pack of treats that took us almost 2 weeks to get through! Nothing was too much trouble, she helped when we needed to see a doctor, gave directions to places of interest. I would thoroughly recommend this as a place to stay. We arrived at Martine’s house to a lovely warm welcome. Complete with a very kind selection of produce to get us going. Very kind! The house is excellent and large, just as you see in the photo’s. And the garden is a great size to lounge or play, great for the children too. 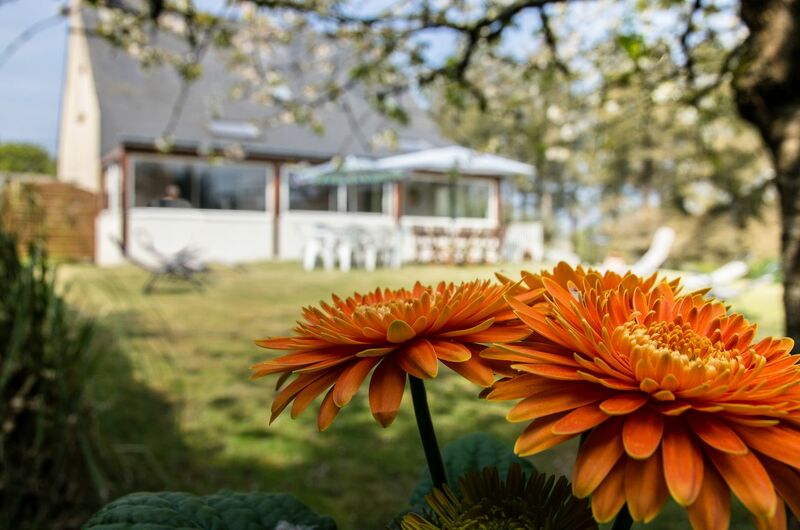 I have rented many a house and can highly recommend this one for a peaceful holiday in Brittany, close to the seaside, but a little away from it all too. Thanks again Martine! We were very happy that we can spend holidays in your holidays house. It is very peaceful place and very nice house. Thank you very much for your welcome and hospitality. It is wonderful place to spend holidays. Martine was really helpful (and spoke excellent English!) and the welcome pack was a really kind thought. The house is very clean and comfortable with some UK channels on the Samsung TV and I thoroughly enjoyed my stay there. The garden is very private and it is a very peaceful place. There are some wonderful beaches only 35 minutes drive away and the countryside is beautiful. Martine’s traditional Breton home was the perfect place for us to stay this Easter with my parents and 4 year old daughter. The house is spacious, clean and very well maintained with plenty of room for everyone to relax. There is a huge garden and a brilliant garden room for enjoying an aperitif in the evening. If the weather had been warmer we would have been able to sit outside and Martine provides plenty of garden furniture. The pretty town of Yffiniac is just a few miles away and has all the shops you need as well as a large supermarket with a fantastic selection of fresh fish and of course wine! Within an hour you can reach the beautiful seaside resorts of Erquy, Pleneuf-Val-Andre and Saint- Quay-Portrieux. Martine speaks fantastic English and bent over backwards to help us with any questions we had and also suggested some wonderful places to eat and drink. 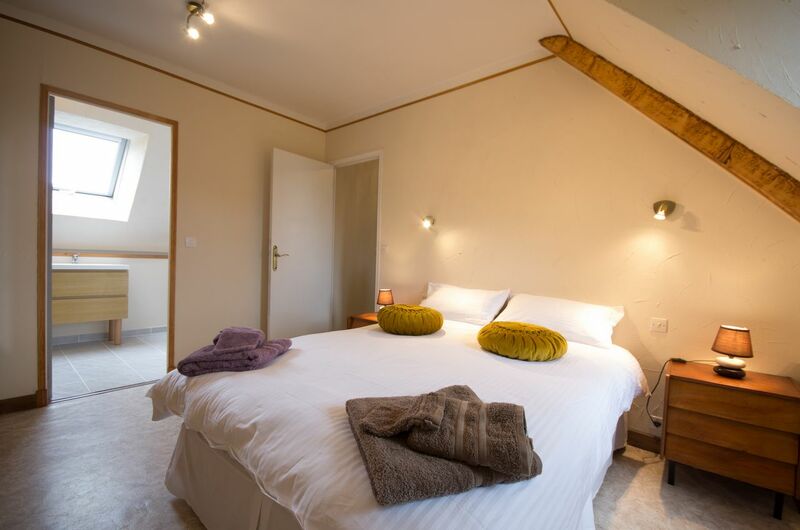 We would recommend this lovely house to anyone wanting to stay in this beautiful part of France and will definitely be coming back again for another great holiday. Logement correspondant parfaitement à la description, accueil très sympathique (quelques crêpes bretonnes nous attendaient pour fêter notre arrivée dans cette belle région), maison fonctionnelle et très propre. L’aménagement est bien et la véranda et la jardin sont un vrai plus. A 8 voyageurs on ne se sent pas du tout à l’étroit. L’accoglienza della proprietaria è stata molto calorosa, precisa nelle indicazioni, puntale nell’appuntamento per la consegna della casa, gentilissima nel darci consigli per il nostro soggiorno. La casa era in perfetto ordine, molto pulita e ristrutturata recentemente. L’alloggio si presentava molto meglio di come appariva dalle fotografie apportate sul sito, con ampio spazio nella zona giorno, veranda attrezzata e grande giardino ben curato. La cucina provvista di ogni confort (tra cui forno elettrico e forno a microonde), era presente anche tutto il necessario per le pulizie. Unica mancanza in cucina: il freezer per gli alimenti. Il quartiere decisamente molto silenzioso e tranquillo, era presente solo un forno ma il supermercato più vicino e fornito distava solo qualche chilometro. Strategica la posizione per chi come noi desiderava conoscere in pochi giorni tutta la costa nord della Bretagna. Un suggerimento: attrezzarsi di navigatore perchè la sera con il buio la casa non è facilmente raggiungibile.